i hope that sigma/tamron/samyang etc. can figure out how the communication on the z-mount works as fast as possible so they can produce native z mount lenses. the lenses from nikon will be expensive. good for nikon to protect their system but not good for the customer. and on the other side having cheaper lens options from other companies makes the nikon z bodies more attractive. i will buy the nikon z6 including the ftz adapter and then i wait for prices to drop at the side of the lenses. also the prices of the second hand f-mount lenses will drop. that will also be an interesting thing to buy fine old lenses. Nikon has no interests in not producing the best prime lenses ever made affordable for most people. Why couldn’t they produce the highest quality lenses instead of Sigma, Samyang and Tamron? 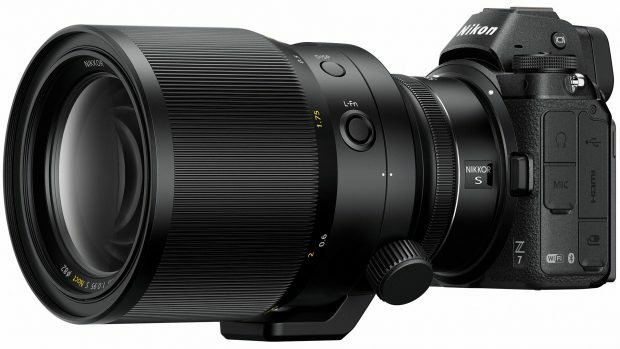 Because history tells us that Sigma/Tamron/Samyang lenses always have to be better? I don’t think so, that’s history. I think they will produce nothing but the best for the future. The cheaper lenses will be crappy, and just like now. Users of them will miss out on in-camera distortion correction and the assurance of compatibility with future Nikon models and upgrades. I’ve learned my lesson about buying third party lenses. Previous Previous post: Competitor News: Canon EOS R Full Frame Mirrorless Camera and 4 RF Lenses Leaked ! Next Next post: AF-S NIKKOR 500mm f/5.6E PF ED VR Lens now Available for Pre-order at Amazon !